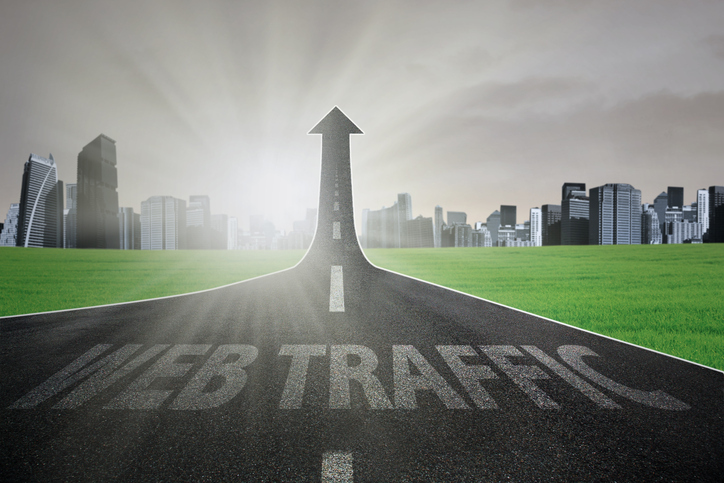 “Paid traffic” refers to any web site traffic that is attracted through non-organic means. It could be traffic from an AdWords buy, a pop-up ad, a flashy banner, a sponsored link, or any other means of directing clicks. The purpose of these efforts is to drive more visitors to your web site, but this is not the overarching goal of the campaign. Your end goal is not a click but a conversion, and the two don’t always align as well as you’d like. Good-quality traffic is when those who click to your site convert—it doesn’t necessarily happen on that visit, but a conversion does end up happening eventually. Conversely, poor-quality traffic consists of people who don’t convert and don’t often stay on a single page for very long. In addition to harming your conversion rate, poor-quality traffic contributes to a high bounce rate and can negatively impact your Google search ranking. Finding ways to increase the quality of paid traffic is additionally important when using methods that charge on a pay-per-click basis. After all, you don’t want to pay for 5,000 clicks if only 50 end up converting. Fortunately, there are steps you can take to help improve the quality of your traffic so you can strengthen your conversion rate. Some of these methods are similar to the ways you can improve your AdWords quality score, but the primary difference is that the focus here is on the targeting and attraction side of things i.e. : before the click actually happens. There are many less-than-reputable services that offer ways to increase the traffic on your web site, often by promising some combination of fast, cheap, and dramatic results. Unfortunately, these businesses act without regards for the quality of paid traffic and will employ unscrupulous methods to direct large volumes of clicks without regard for whether they result in conversions. If you are using a paid traffic service, take some time to look behind the curtain and see where your clicks are actually coming from. If the answers are less than honorable, take your business elsewhere. It could be that there’s nothing wrong with your approach other than that it is being used in the wrong location. Pinterest is good for hawking recipes, not men’s clothing. Do some research on your current and prospective channels. What demographics use them most? What subjects draw the most attention? What expectations and habits are there among users? Answering these questions can help you more effectively tailor your approach to driving higher quality paid traffic. Numero Uno Web Solutions is a premiere provider of search optimization services for businesses of all shapes, sizes, and industries. Our strategies take into account both the latest developments in SEO and web marketing research along with tried-and-true approaches. Our precise, studied methods have benefited Toronto businesses along with industries across Richmond Hill, Vaughan, and more. Our success has even allowed us to extend our reach and offer SEO services to Texas, Massachusetts, and Florida. For any business looking to improve their online profile, we are just a call away at 1-855-SEO-XPRT.